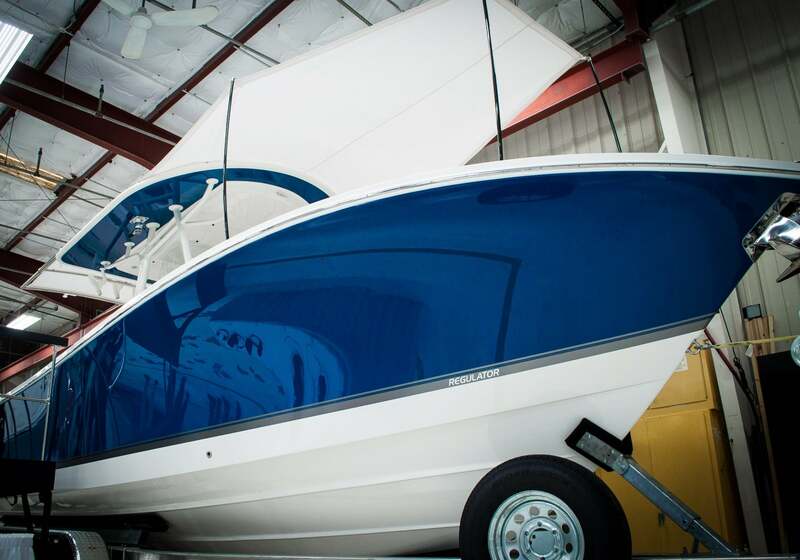 Regulator is kicking off 2019 with free hull color gelcoat on any new Regulator from our inventory (excluding white hulls) or by ordering any new Regulator now through April 30th! This great promotion is also timed perfectly with Yamaha’s Say Yes to Reliability Sales Event, providing Yamaha Extended Service coverage on nearly any new four-stroke outboard engine up to 300hp. Don’t wait until spring to make a boat buying decision, purchase your new Regulator now and choose from 9 hull colors including the breath-taking new Laguna Blue at no additional charge, plus take advantage of the Yamaha promotion. Contact your Bluewater Sales Professional today for details on all of the promotions going on now! Some exclusions & limitations may apply, this promotion is valid from January 4 through April 30, 2019. New Laguna Blue Gel Coat Available Now!